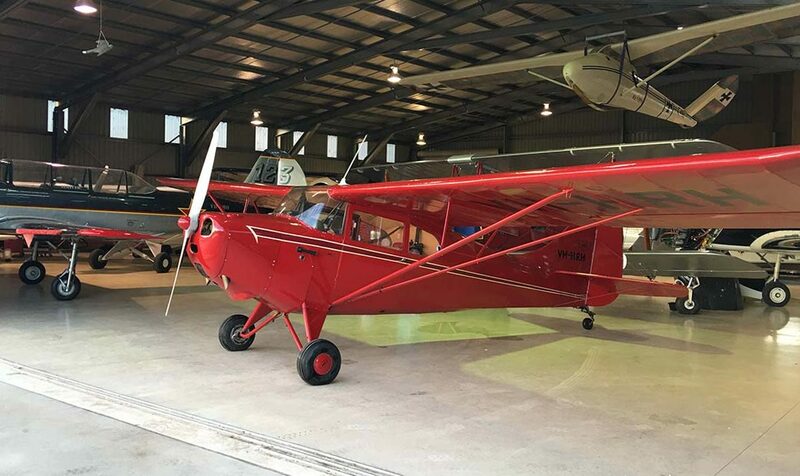 Please welcome the newest addition to our Airsport Fleet the Aeronca Chief. Available soon for tailwheel endorsements and private hire. When Nigel and I saw this classic was for sale we just could not resist. We feel it will be a great addition to our Airsport fleet and I am sure you will enjoy learning to fly it just as much as we do. We purchased the aircraft from Greg Lovett who kept the aircraft in very good condition down on his private property near Mansfield Victoria. Nigel and I flew it back to Brisbane from Victoria and due to being stuck in Mansfield because of the rain on the very day we were to depart we had no choice but to fly it back in one day. It took 9 hours flight time!! However we did get to see a lot of this very beautiful country. The canola fields were abound for as far as the eye could see blanketing our country in green and gold. 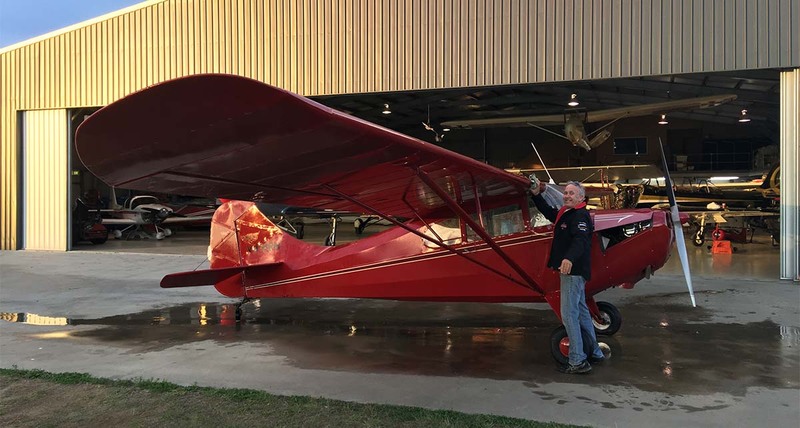 The Aeronca Chief is a single-engine, two-seat, light aircraft with fixed conventional landing gear, which entered production in the United States in 1945. Designed for flight training and personal use, the Chief was produced in the United States between 1946 and 1950. The Chief was known as a basic gentle flyer with good manners, intended as a step up from the 7AC Champion which was designed for flight training. Like many classic airplanes, it has a significant adverse yaw, powerful rudder and sensitive elevator controls. Stick and rudder pilots will love this aircraft.